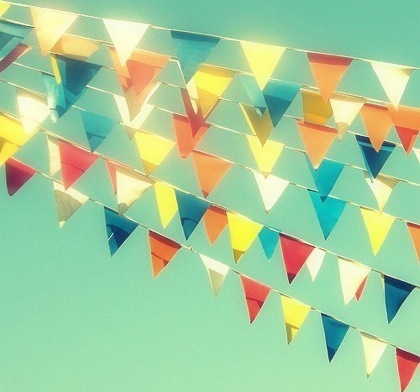 ohhhhh bunting flags, you are too cute & make my heart verrrry happy. no, not the car dealership kind. i'm a long time bunting flag fan, but for some reason they've been consuming my thoughts lately. 1. my friend, sandy, has a tutorial for how to make them here. 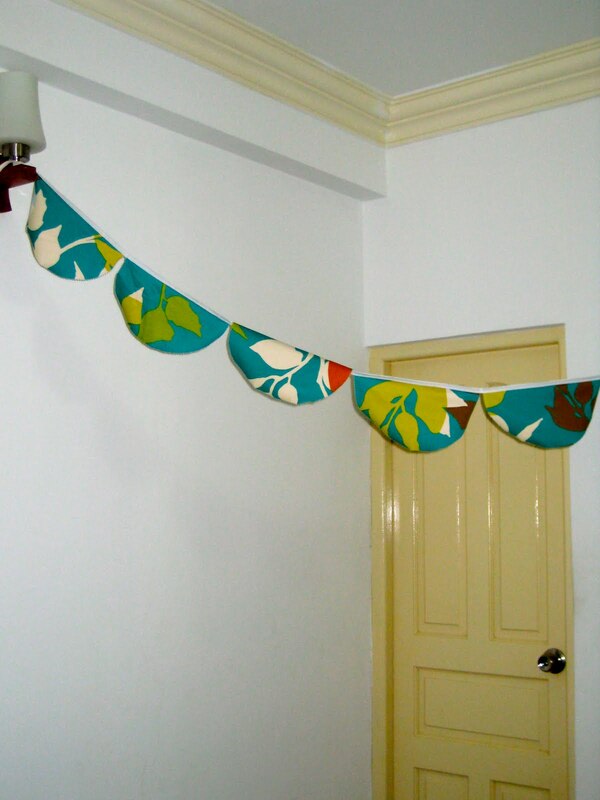 2. i made these and brought them with us overseas. home decor is limited here and packing space was even more so. they are happily hanging in our tiny cozy bedroom. i feel like given a fun colorway & not-so-elementary art skills, this would be fun fabric. 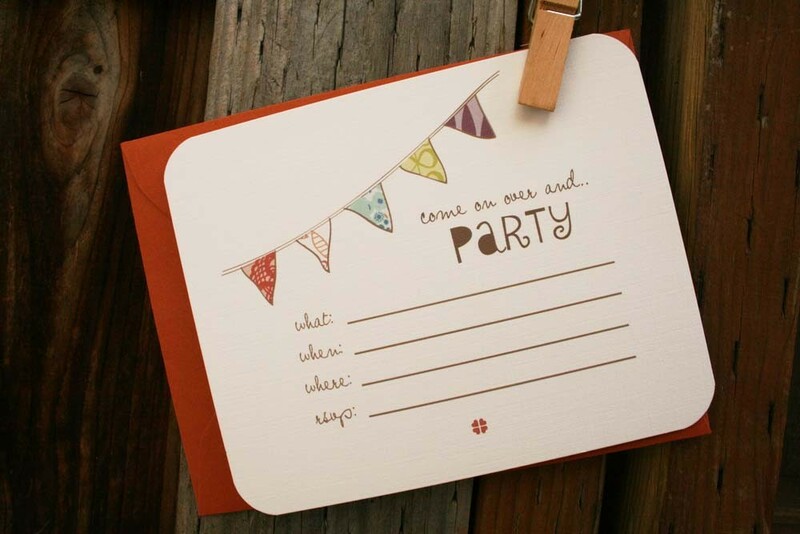 4. my friend ((and designer of my blog & shop logo)), lisa, has these bunting flag themed party invites in her shop. she's rad. 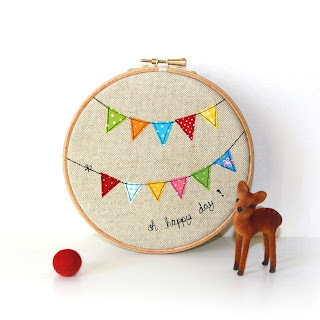 6. embroidery hoop + burlap + bunting flags + "oh, happy day" = perfection. 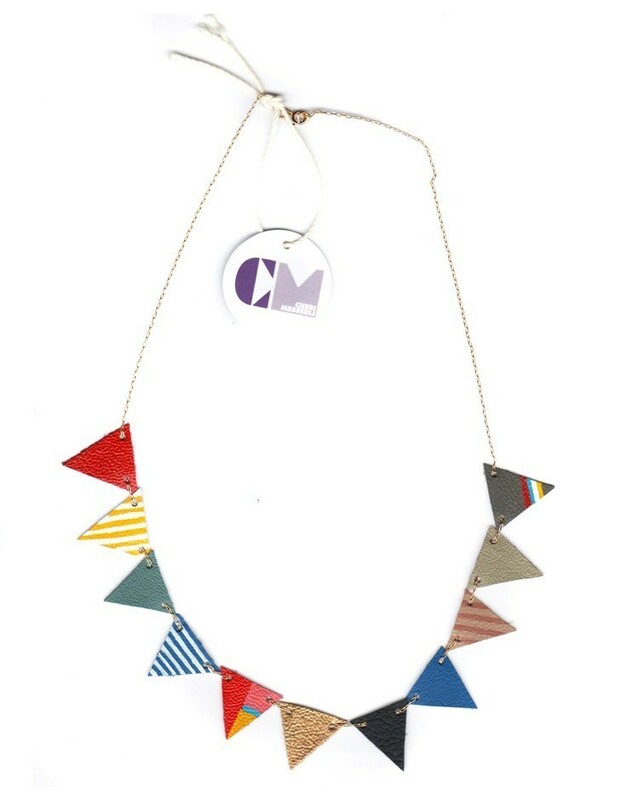 7. and finally, how fun is this necklace by scout holiday? 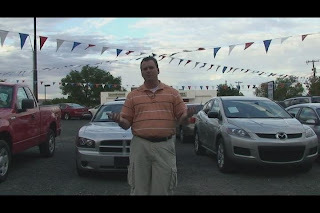 i'll take one in five different color schemes, please. for featuring my Wall Art! this is soo cute! i love bunting banners, i think i might make some for my (future) etsy shop!! :) and then you can do another post about them! ;) have a great weekend sweetie! love this! 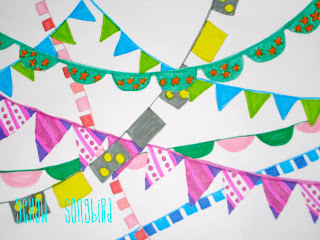 funny you should post this now...i'm on the hunt for bunting flags to use next week!!!! might have to place an order pretty quick. thanks for this collection. 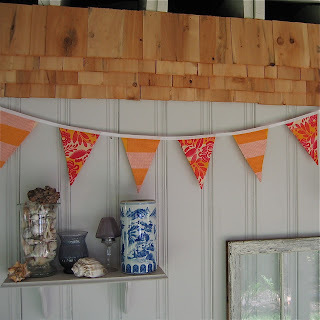 happy Friday.. that's crazy because on wednesday I put up a tutorial/giveaway on flag bunting! creative minds think alike! 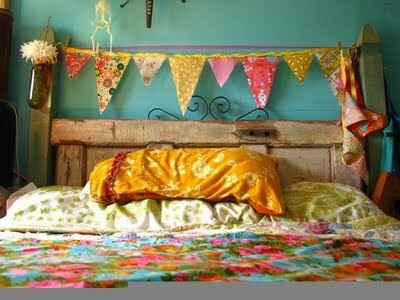 ok, you mentioned decorating a "cozy" room overseas... I want to know more!! My hubby and I just moved to Africa and our house feels a bit like an asylum (bare white walls, basic wood furniture). Not homey AT ALL... and the worst part is, he's told me "you're so good at decorating, can't you do something to make it feel more like a home here?" but I'm at a loss... where to even begin!? great post! I love them too! 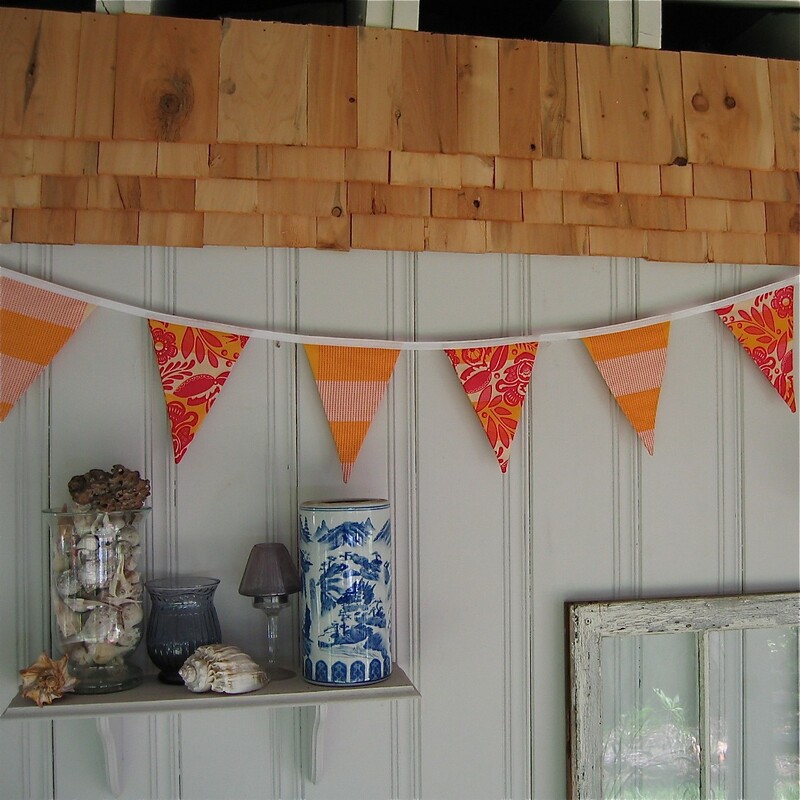 thank you for the love of my pennants! Great blog. You have a new reader! Those are all beautiful! I'd love to make something to go over my bed!